It was a morning full of vibrant activity as eighty-five student and adult participants ran at the second annual, one mile, Color Fun Run on Saturday, May 20 at the Manchester School in Windham. The Color Fun Run was initiated and inspired by Standards Based Teacher, Jess Carle and School Counsel, Jess Weatherbee to raise money for their students to go on school field trips that support project based learning. They believed this fun run would be a great option to raise those funds and to keep the children active. It was such a success last year they decided to do it again, with the hope that it continues to be an annual event. This year, however, there was an additional fundraising effort, as fourth-grade teachers Adam Beal and Leah Fischer and their students, joined forces with Carle and Weatherbee to help raise funds for fourth grade student, Nolan Cyr and his family. Cyr was diagnosed with osteosarcoma on April 11. His classmates and teacher, Ms. Fischer wanted to be of help in some way and thought it would be a great idea to participate in this year’s Color Fun Run to help Cyr and his family with medical expenses. Due to Cyr’s level of strength and determination to fight this cancer, the theme behind these fundraising efforts is: Fight Like a Cyr. “Nolan always says that, ‘cancer picked the wrong kid to mess with’ and I think he really got that part right,” stated Fischer. years. “Nolan has decided to donate the funds he will receive from the Color Run today to the Barbara Bush Children’s Hospital,” stated Cyr’s mother, Angela. Because of Saturday’s Color Run and the funds raised for Cyr, he will be donating $1,500 to the Barbara Bush Children’s Hospital. There is no stopping a small community in coming together to meet the needs of its members. The students now will get to experience hands-on learning and discovery through enlightening field trips; and the Barbara Bush Children’s Hospital gained extra funds to help other children in need. 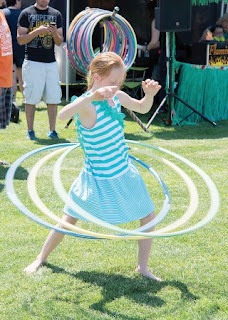 Mark your calendars and celebrate summer and community the old fashion way at the annual Windham Summerfest that will occur on Saturday, June 24 and will begin with a parade at 10 a.m. There will be entertainment, live music, vendors and activities for all members of the family to explore and enjoy. There will be a number of booths and vendors to enjoy and many craft stands to discover and shop. There will, of course, be plenty of food booths to fill every palette preference. Family fun games will also be included and will be comprised of activities such as sack races, egg toss, etc. New to this year’s Summerfest is a Meet Our Community Leaders table so one can meet and have an opportunity to speak with those who serve the community in multiple ways. Funding this event takes effort as well. 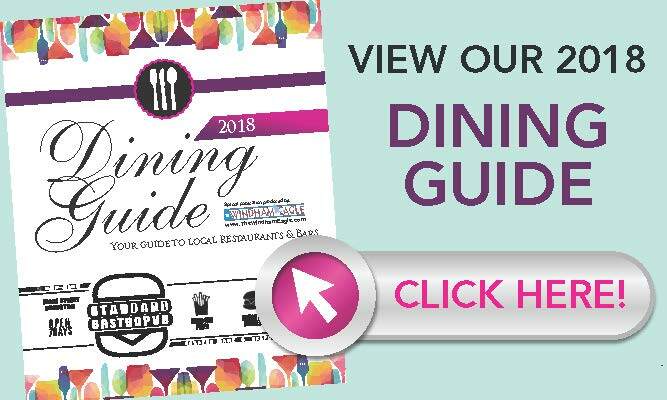 “The event costs over $30,000 each year and financial assistance from local families and businesses is crucial,” Mullins said. “People should be on the lookout for Summerfest jars in local businesses and other Summerfest fundraising events, and help in any way they can. 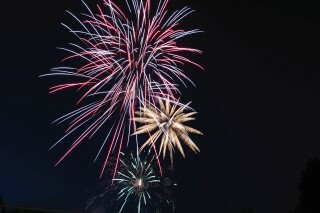 Despite the fact that it takes funding and determination to create a successful community gathering, the Windham Summerfest is a perfect way to spend the day with your family and members of your community by enjoying the entertainment, eating a variety of foods, purchasing from local vendors and ending it with an evening of firework excitement. Matthews stated that her favorite part about Summerfest is observing everyone and realizing how much fun they are having. “I so enjoy watching the faces of the kids playing and then watch the faces of their parents and grandparents as they look on.” Mathews stated. create memories of summer fun in future generations. 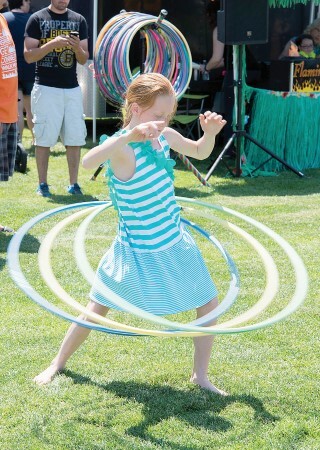 So, indeed, mark your calendars for Saturday June 24 to create memories of your own at this year’s Windham Summerfest. Bring a friend or two. 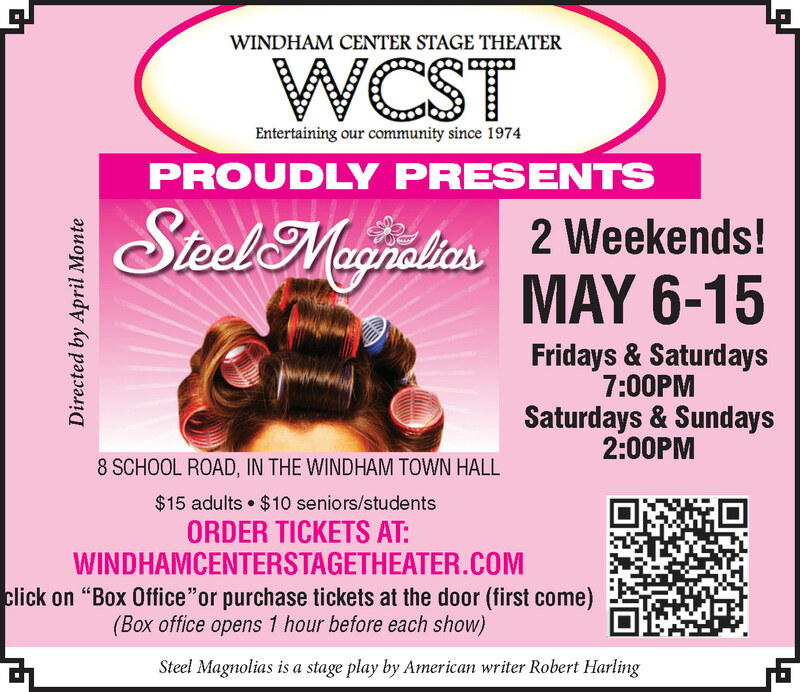 For an updated list of activities, check out the Windham Summerfest facebook page or the website at www.windhamsummerfest.com for more information. They say it takes a village to raise a child. However, that often-quoted statement can also be used as part of a community effort in lending a helping hand to those who could use a little assistance. On Thursday, May 4, Debora and Nathan Rand of Raymond as well as Janie Brown of Gorham, were chosen to be the recipients of ACDelco’s National Day of Service by getting their vehicles repaired free of charge at Sebago Lake Automotive on 302 in North Windham. This is the second annual National Day of Service as ACDelco, an automotive company that is owned by General Motors, works with repair shops across the nation, to provide a collective $200,000 net worth of free vehicle repairs. 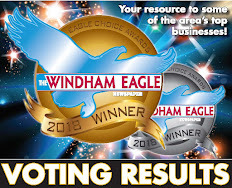 This year, Sebago Lake Automotive was the chosen shop to provide service in Maine. Sebago Lake Automotive had the difficult choice of choosing one non-profit organization in the area, to work in conjunction with and to identify a local family and/or individual who could benefit greatly from this service. They chose to work with the Windham Hill United Church of Christ (WHUCC) who recognized the Rands and Brown as needing the service. 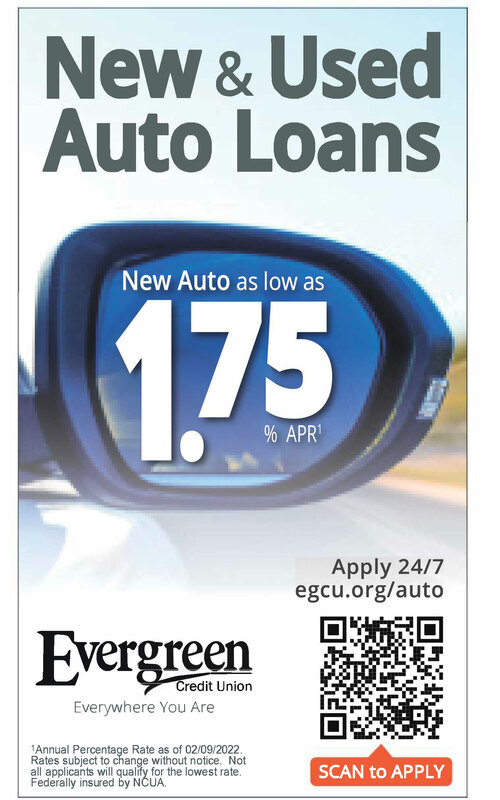 In doing so, they were provided a total of $4,000 in free automotive repair service. 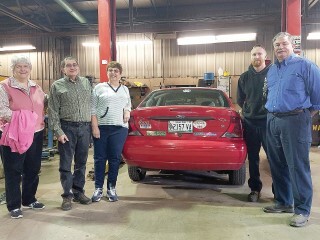 The Rands, who own a 2003 Ford Focus, are very involved in a multiple of community volunteer efforts that includes Food and Fellowship, a weekly service from various organizations that provides free meals to the community every Monday at WHUCC. They are also a part of the Missions Board at WHUCC and participate in the community garden and plant sale efforts that raise funds and environmental awareness with the Raymond Village Library. The Rands’ Ford Focus had a leaking air conditioner, needed a timing belt and hood release mechanism replaced. 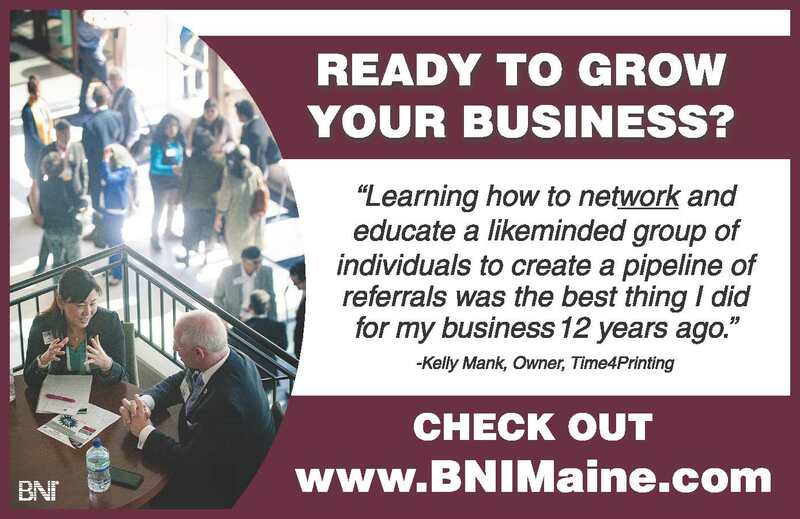 They also received a free State of Maine inspection. “The total cost for the Rand’s would have cost them $2,000,” said Mitch Woodbrey, co-owner and service manager at Sebago Lake Automotive. Brown, of Gorham, owns a 2004 Toyota Scion. She is the coordinator of the Food and Fellowship. As a coordinator, she works tirelessly with a multitude of other organizations and churches in the area that contributes to the success of this program, making sure that at least one weekly free and healthy meal is provided to those who need some extra help. Brown, along with the Rands, also works on The H.O.M.E. Craft Show and Sale. It is a project that is a part of the Missions Board and is an event held on Saturday, June 3. The event is open to the public to support crafters in one of the poorest areas of Maine, Hancock County. Brown’s concern for others and making sure that they can survive to the best of their ability, leaves little time for her own personal concerns. But she does have a bit of a challenge living on a fixed income. “I always have on my mind what needs to be paid next.” Brown said. “It’s nice to have this one thing off my mind,” she continued, referring to the needed repairs of her 13-year-old vehicle. As General Motors and ACDelco state, everyone should have access to reliable and safe transportation. The out-of-pocket repairs can add up to over $600, and nearly a third of American drivers cannot add that amount to their monthly budget. There is another saying that states, “Do good and good will come to you.” It seems this is the case for the Rands and Brown. A thank you goes out to ACDelco, General Motors and Sebago Lake Automotive, for recognizing three individuals who do good in the world - by returning the good to them. The committee of and volunteers for PowerServe successfully provided a morning of community service for families and organizations within the greater Windham/Raymond Communities on Saturday May 13. This is the second service event hosted by PowerServe, with the first occurring last spring. 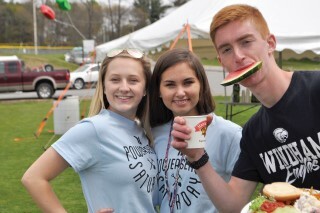 Genevieve Delano, director of PowerServe and a junior at Windham High School, said that the event was initially planned as a one-time event as a way to honor a classmate, Shane Donnelly, who had passed away. It was also created to help those who knew and loved Donnelly. “My mom and I started this event last year in an effort to create a positive energy around the situation by celebrating his life instead of his death,” Delano explained. “He would have loved this. Although PowerServe initially was intended to be a one-time event, Delano stated that there were many requests to have it happen again this year. 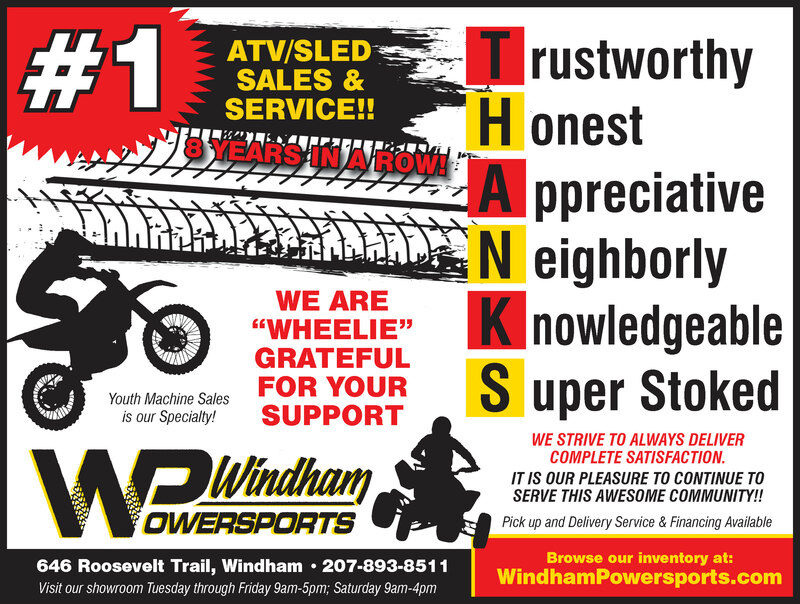 the March 17, 2017 publication of The Windham Eagle’s ‘PowerServe will provide communities services once again’ by Elizabeth Richards. And so, PowerServe heeded the call and met the requests that came from the community. Last year, most of the projects took place at the Windham High School campus working on landscape and minor maintenance and painting needs. However, it was their hope to reach further out into the community this year. Windham Library, Windham Historical Society, the Karsten family, the Dickinson family, the Boucher family, Village Green, Windham Police Station, the Gregoire family, the Levigne family, Manchester School, Black Brook Preserve and local cemeteries. Linda and John Gregoire were very pleased with the assistance they received on Saturday from the volunteers of PowerServe. John Gregoire was diagnosed with Amyotrophic Lateral Sclerosis (ALS) almost 10 years ago, making any physical work impossible. “They trimmed back a couple of years’ overgrowth in the back yard and disposed of the brush they cut back” Linda Walker said. “It is work I don't have the equipment or time to do and it was appreciated very much. They cut down some small trees with the chain saw, which is something I can't do, I don't own a chainsaw, and even if I did I wouldn't dare use it.” Linda Gregoire joked. Members of the Windham Historical Society would like to see the return of PowerServe. It seems PowerServe does more than provide the much needed repair and maintenance where it is required, but it also repairs grieving hearts by spreading joy and light into the world. Lunt stated it best. “If these young people are any indication of our future, I'd say we're in good hands." 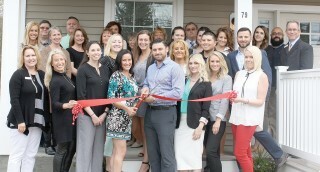 On Wednesday, May 3 at 4:00 p.m., the Sebago Lakes Region Chamber of Commerce (SLRCC) conducted a formal ribbon cutting ceremony to celebrate the grand opening of Landing Real Estate on 79 Tandberg Trail in Windham. Lisa and Matt DiBiase, agency owners, enjoyed a large group of attendees including several directors from the SLRCC Board, as well as professionals from in and around our region. The agency also has a location in Portland on Exchange Street. 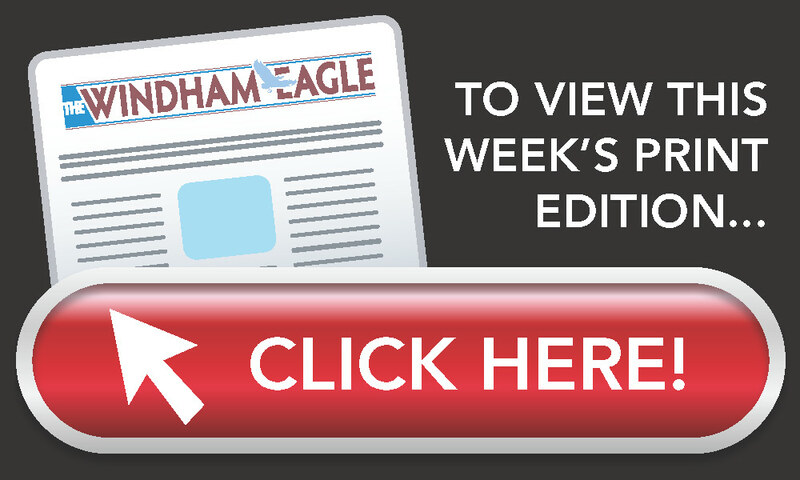 It was a brief 5 weeks ago on Saturday morning April 1 that a team of five students from the Windham Primary School (WPS) placed second in the state competitions of Odyssey of the Mind (OM). As a result, they will have a chance to compete in the 2017 World Finals to be held at Michigan State University, May 24 to 27. The WPS OM students, the first students from Windham Primary School to compete in the World Finals, are looking forward to traveling to Michigan and competing with approximately 800 other students from around the world. There is one hitch however, and it is getting to this competition. It’s the ever present challenge of funding in order for the five bright, young students to travel to Michigan. But when has a challenge stopped the most brilliant and creative? This Saturday, April 13 from 10 a.m. to 2 p.m. the students and their coach, April O’Shea will host a second bottle drive in the parking lot of Time4Printing, 588 Roosevelt Trail in Windham. Their first bottle drive was last weekend. “Last week's drive focused on the boys walking around a few neighborhoods. We are hoping to get a bigger outcome by having a bottle drive this Saturday in one location,” O’Shea said. 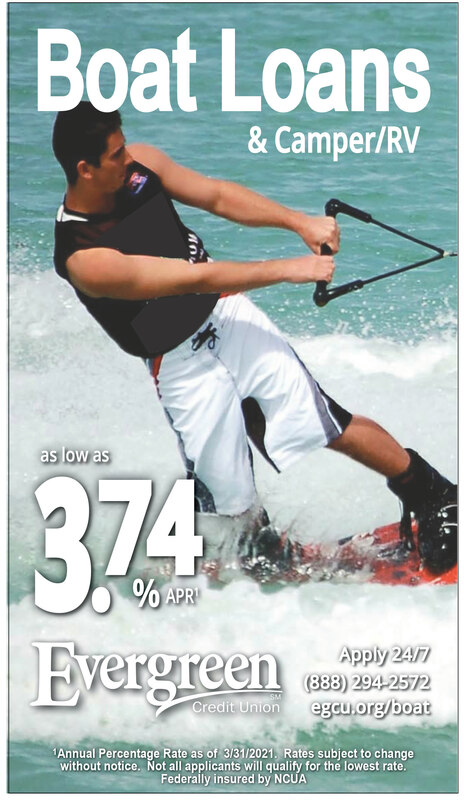 The financial goal to fund travel to the competition in Michigan is $7,000. This covers event registration, lodging and transportation for all five students. “Odyssey of the Mind (OM) is a creative, problem-solving competition for students of all ages,” stated Linda Berry, Enrichment/Academic Support Coach for RSU14. When they arrive in Michigan, the competition will incorporate two areas of challenges the young competitors must solve. The two categories are: 1) Long-Term Problems and 2) Spontaneous Problems. The students have been working together since December to create and practice their long-term problem solution and will present that at the competition. Additionally, they will be given a spontaneous problem to solve. Teams are scored on a combination of the two major components, which also includes a style component. Certain aspects of their long-term project will be judged and scored for their creativity. The students look forward to testing their intellectual and innovative prowess and representing the State of Maine. If you are unable to make this Saturday’s bottle drive or will not be able to attend the fundraising event on May 20, a gofundme.com account has been set up to make a financial donation. Visit www.gofundme.com/windham-primarys-odyssey to make a donation in any amount. Local Windham High School students and musicians, David Young, Deven Young and Seth Martin, members of the rock group The Rubber Band will compete in a Battle of the Bands competition, known as the Maine Academy of Modern Music (MAMM) Slam, Saturday, May 13 at Empire located at 575 Congress Street in Portland. The doors will open at 1:30 p.m. and The Rubber Band will perform at 2 p.m. The band, whose musical sound is similar to Creedence Clear Water, Neil Young, Cream, Led Zeppelin and Bob Dylan competed and won the preliminary rounds in the High School Rock Off portion of MAMM Slam on April 8 at Bayside Bowl in Portland. The Rubber Band will compete again on Saturday with five other bands and solo artists to vie for first place and win a host of prizes that will include: $1,000 cash sponsored by the Rusty Rocket Music Fund, college scholarships to the Maine College of Art (MECA) of up to $16,000 per year to each member of the winning band, a tour of Gateway Mastering in Portland, free recording studio time, a scheduled performance to include an appearance on the MAMM Stage at the 2017 Old Port Festival and the All Roads Music Festival in Belfast. The prize also includes radio appearances. 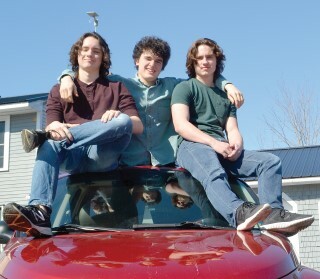 As Young stated above, the band has recorded their music and now has the 4-song EP entitled “Thunder.” It consists of three originals and a cover of Bob Dylan’s, “Subterranean Homesick Blues.” The EP will be available to purchase at the MAMM Slam on Saturday. Good luck to The Rubber Band as they compete this Saturday, although it’s possible they won’t need it. 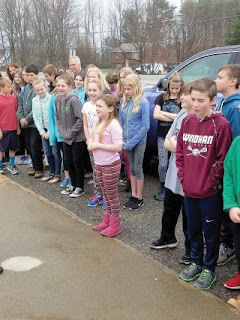 The sixth-grade students from Lynne Estey’s science class, at Jordon-Small Middle School, had the opportunity to learn the ropes of a meteorologist from the WCSH Channel 6 TV station in Portland. 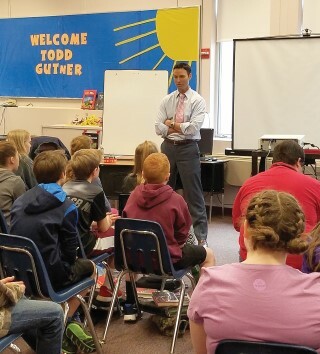 Morning weatherman Todd Gutner spoke to the crowd of 11 and 12-year-olds about the science behind weather on Thursday, April 27 in the school’s library. Gutner stated that he has a great time being a meteorologist, explaining that often he and the other co-hosts tell jokes and laugh with one another. As an example, he spoke about the thunderstorms he has covered over the years. Specifically, a thunderstorm that developed into a tornado warning in the Rangeley/Farmington area and most of the Carrabassett Valley a couple of years ago. It was at this point students got to view a live broadcast of Gutner on air during that tornado warning. By watching the video, they got a better understanding of the science behind summer meteorological conditions such as velocity, high air pressure, low air pressure, the exact definition of a tornado warning and the difference between a cyclone and a funnel cloud. 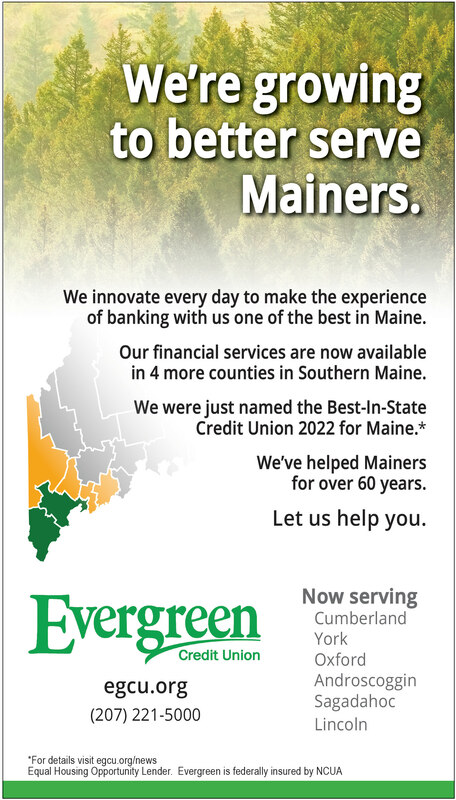 “In Maine, there has never been a tornado greater than an F2,” Gutner said. Gutner discussed what to do during a tornado warning to keep safe. His suggestions included going to the lowest point in the home, staying away from windows and using pillows and blankets for protection. Students were given an opportunity for question and answers. Lightening was one major topic of discussion, including the occasional “bolt from the blue” lightning. This occurrence is a lightning bolt that can strike many miles away from the thunderstorm cloud that produces it and can be exceptionally dangerous. The community is pulling together to support families affected by the fire on April 19th at A La Mexicana restaurant in Raymond with a Cinco de Mayo Fundraiser Fiesta. building that A La Mexicana was housed in. And rally they have. Adam Herald, pastor of the Refuge Church in Windham, said he knew Chavez’s sister-in-law, Jerica Parker, from building relationships in the community. “When I heard about the fire, I asked what we could do to help,” he said. “Any time there’s an obvious need in the community, I think the church needs to step up and say, ‘what can our role be and how can we get the community working together’?” In this case, in addition to helping get the word out for the event through Herald’s contacts, the Refuge Church secured the hall for a non-profit rate, and will be paying the cost of that rental. 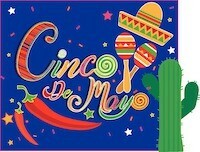 While they were talking, Parker brought up the fact that Cinco de Mayo was a very lucrative day for the restaurant, Herald said. The idea to organize something around that day was born, almost without realizing how quickly it was approaching. The outreach from the community has been phenomenal, Mason added. Within hours of the fire, she said, she was receiving phone calls asking what people could do to help. She said that seeing this kind of response makes her feel good about the world again. “There’s a ray of sunshine, and hope, and an outpouring of love,” she said. Along with Parker, Herald, Chavez and the Masons, some of those heavily involved in the quick organization of the event include Caitlin Faria, Mandy and Marty Greco, Alicia Paige, Anne and Dave Murch, Dave and Kathy Gerrish, Kathy and George Jillson, and Robin Brown. 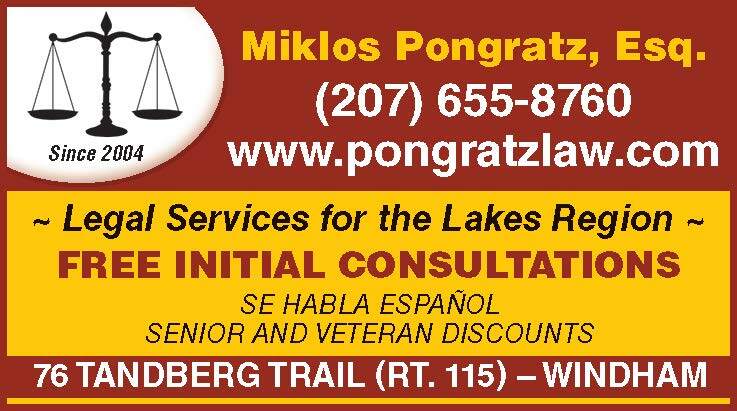 Point Sebago has donated a 5-night vacation as a door prize, and many other local vendors have stepped up to donate raffle and auction items. The Wrong Road band, who will perform at the event, also donated their time. 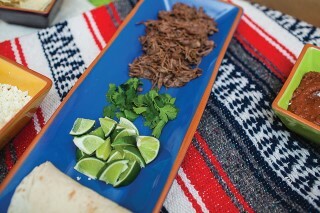 The Fundraiser Fiesta will be held on Friday, May 5 from 3 p.m. to 11 p.m. at the Windham Veterans Center, 35 Veterans Memorial Road, Windham. The event will include a buffet dinner, live music, raffles, an auction, and more. Tickets will be sold at the door, and are free for children 3 and under, $10 for children 4-12, $15 for adults and $40 for a family of four. For more information, contact Laurie Mason at llbmason@att.net.